Everybody loves music, all types of music, there’s a musical style for everyone. Did you know, however, that besides bringing us pleasure, music can tell a lot about us? It can even shape our brain structure. Science has a lot to learn about how our brains and bodies respond to music but there are a few things we do know. 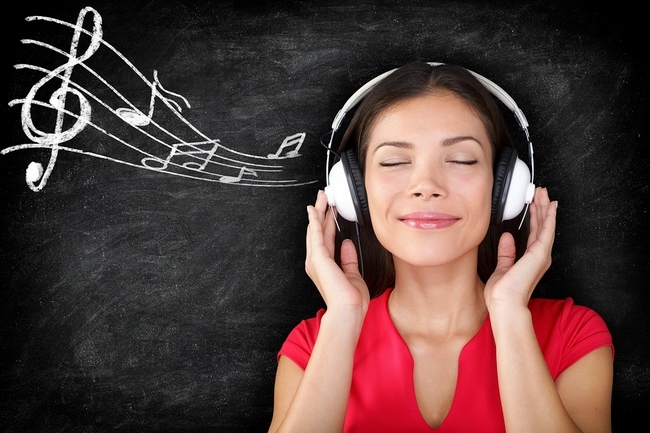 Since music is such a huge part of our daily lives, you might want to take a minute to take a look at the 10 ways we react to music, and how it affects our brain, without our being aware of it. If you didn’t know it already, music can bring back memories we thought we had forgotten about. Some researchers are suggesting that music could be used as a treatment for those with memory problems. A recent study showed that for those who had memory problems after sustaining serious brain injuries, music allowed them bring back old memories. In a study that was published in 2013 in the journal Neuropsychological Rehabilitation, it was discovered that playing hit songs from different periods was better than an interview at making people bring up memories from the past. In 2009, a study published in the European Journal of Neuroscience, 30 subjects watched a nature film with subtitles and listened to a short audio clip of a baby crying. Researchers looked the brain waves from these subjects to measure just how sensitive these people were to the sound and whether or not the emotional circuits of their brains responded. Those who were musicians responded much more accurately and quickly than the brains of non-musicians. This study suggests that musicians may be better at detecting emotions, even when music is not being played. Everyone knows that playing our favorite tunes helps our workday go faster. However, when it comes to doing some creative work, loud music isn’t the best way to go. If you want to do your best creative work, turn down those tunes. In fact, you might want to consider changing those tunes for an ambient noise, also called white noise, such as the sound of fans, running water, or rain. Ambient noise increases the abstract processing in our brains, which leads to more creativity. In areas with high noise levels, our brains creative thinking is severely impaired because our heads are just overwhelmed and our minds can’t process data efficiently. Well, this one really has to be taken with a grain of salt because the study was done only with young adults, but it’s still a fascinating thing to consider. This study using couples who spent some time to get to know one another, when they looked at the other person’s top 10 all-time favorite songs, it provided a super reliable prediction about the listener’s personality. Of course, this is a broad generalization, but this study is very interesting. Well, this isn’t much of a surprise. Research has been doing studies on the effect of music while exercising for many years. As far back as 1911, researchers found that cyclists pedal faster while listening to music as opposed to pedaling in silence. This is because music can “drown out” our bodies complaining that they are tired.